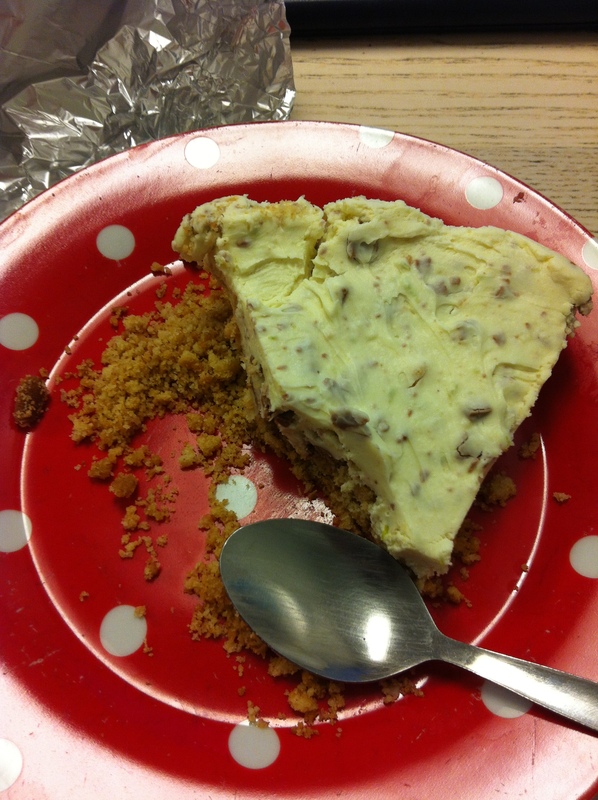 One other thing I remember, was this amazing lime cheesecake my mum used to make for dinner parties and family events. Not so sharp that it feels like your face is turning inside out and not too sweet that you need to have a lye down in a darkened room to recover. With cheesecakes, I firmly in the team baked over team gelatine. Something about a cheesecake that has to be set with gelatine, freaks me out! I just don’t like the texture- bleugh! This recipe is magical, has so few ingredients, but tastes amazing and so quick to make. 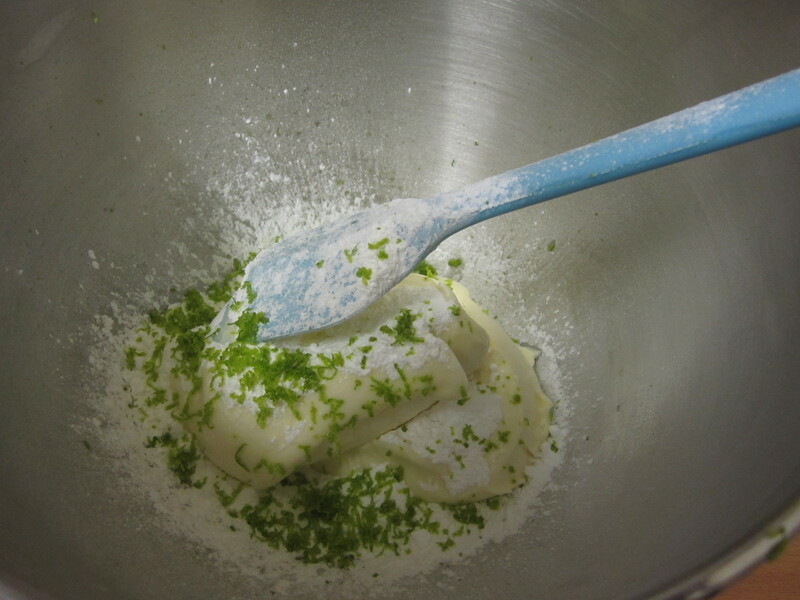 The lime juice reacts with the mascarpone cheese and firms up the whole mix, thus removes the need for any nasty gelatine. I added some crumbled chocolate to the mix as was serving it to a chocoholic and wouldn’t be allowed to serve a pudding with any. I have fond memories of the dessert and if you try it out you’ll see why. Great to take for lunch too! 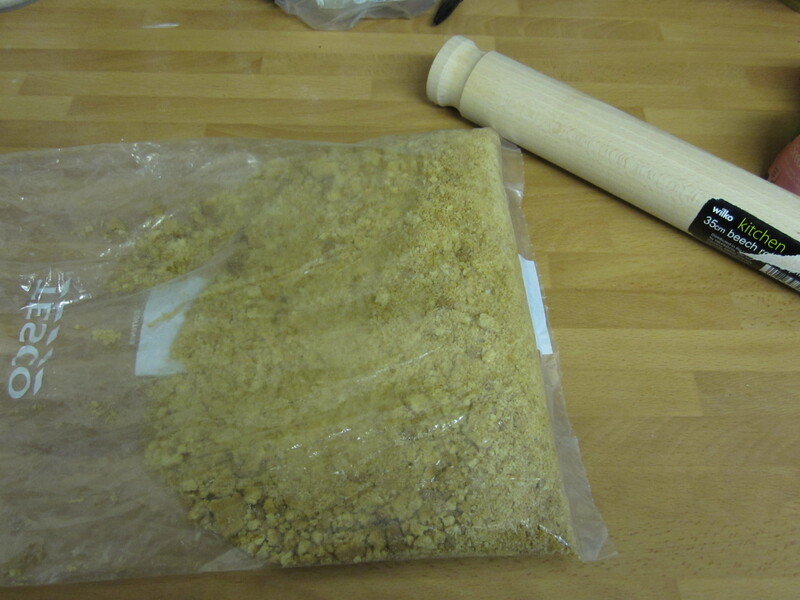 Crush the biscuits in a bag until you have fine crumbs. You can roll over them with a rolling pin. In a bowl, add the crumbs and stir in the melted butter. Tip the crumbs into a 9″ springform cake tin. 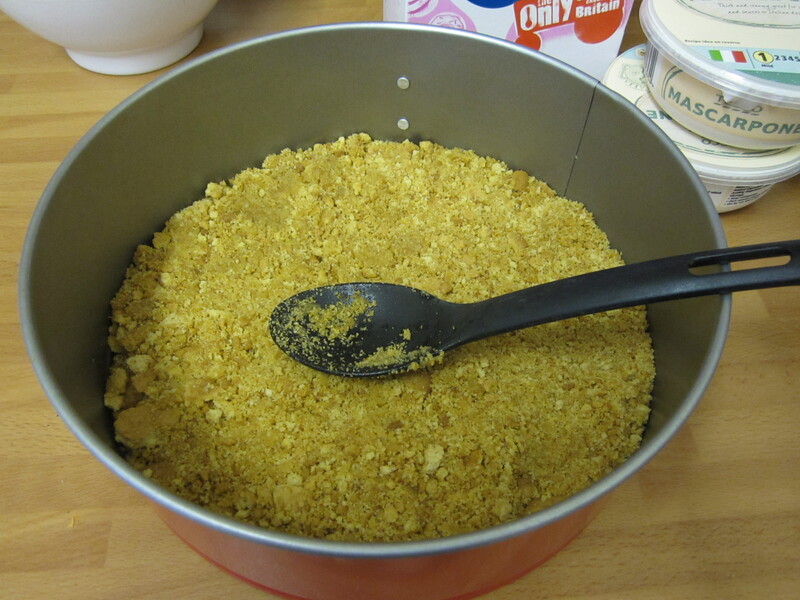 Using the back of the spoon, press the crumbs to form the crust on the base. Chill for 30 mins. 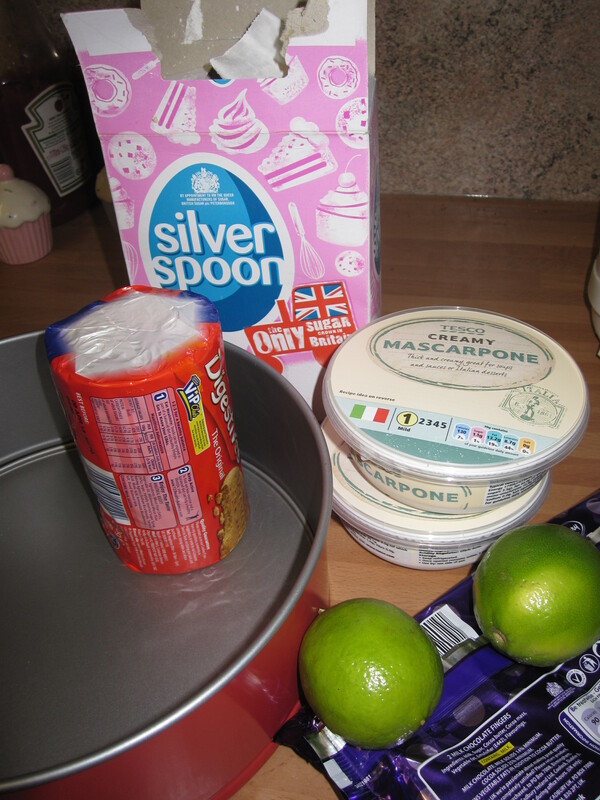 In a large bowl, beat the mascarpone, icing sugar, zest and lime juice until well mixed. 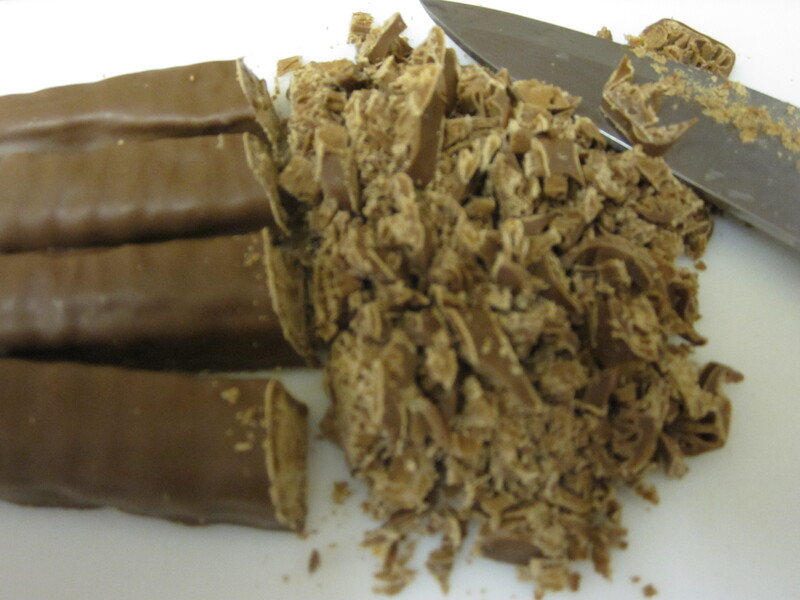 Fold in the chocolate flakes. 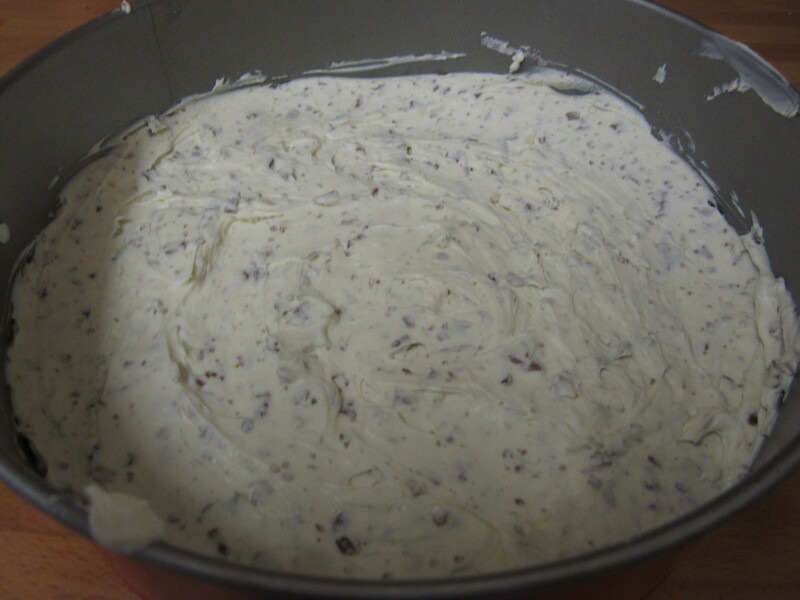 Gently smooth the mascarpone mix on top of the biscuit base and smooth over the top. Chill until ready to serve. It’s that easy! And people will think you slaved over it for hours and you can sit there smugly as it took less than 30 mins. Give it a go!